George Strait Country stars James Garrett of the two time Grammy Award Winning group "The Kendalls". 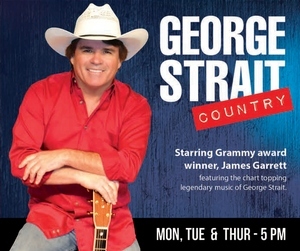 This show features the music of George Strait! Sing along with classics like Ocean Front Property and Amarillo by Morning, plus new chart toppers like Write this Down and many more.